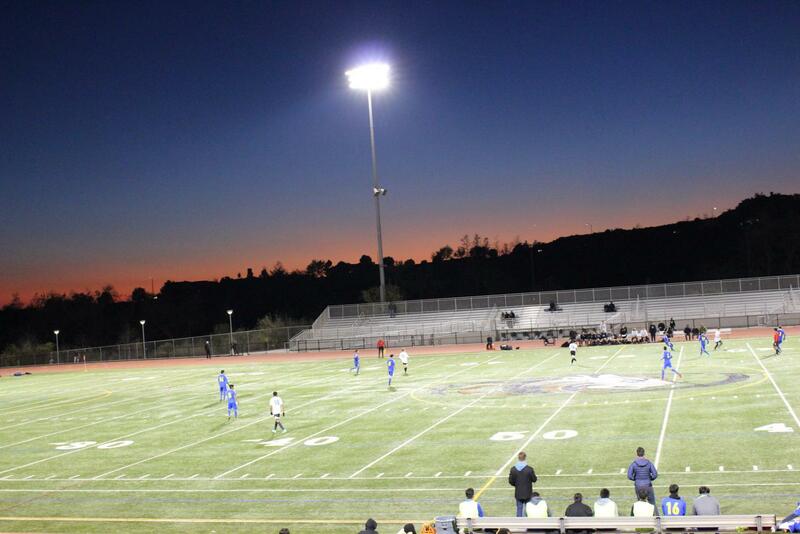 Last Saturday, boys soccer faced off against O’Farrell Charter in the CIF quarterfinals. Sage Creek had the top seed heading into the game, with O’Farrell carrying the eight seed. Sage was looking to ease by O’Farrell onto their next game, but O’Farrell was looking for the upset against the number one. The game started off with O’Farrell coming out strong. O’Farrell scored an early goal in the first half. The first half was hard fought by both teams, but the half ended with O’Farrell being up 1-0. By the time the second half started, it was dark and the lights were in full action. Sage needed to come out strong, and they did. The Bobcats came out and scored a quick two goals to O’Farrell’s zero. O’Farrell then came back to tie the score. Then at the 78 minute, Daniel Moran put the Bobcats in the lead.